Microsoft has been cautious about making its Surface product line available worldwide. It tests devices in specific markets, sees how they do, and if the response is good, ships them to those areas. The company appears to have have received a strong response, in particular, to its Surface Studio, Surface Book devices and Surface Dial, which will soon be available in many Asian and European countries. The expanded availability of these devices was announced on the same day Microsoft said it would release Windows 10 Creators Update on April 11. The Surface Book with Performance Base, one of the devices that will be more broadly available, is a high-performance laptop that can also be a tablet. The screen pops out from the keyboard base to be a tablet. In a review, PC World concluded the device was powerful and easy to use, but had some design issues and was heavy. The device -- priced starting at $1,499 in the U.S. -- will begin shipping to new markets on April 20 and users will be able to order it through Microsoft's website. The Surface Book with Performance Base will be available in Austria, China, Denmark, Finland, France, Germany, Hong Kong, Japan, the Netherlands, Norway, Sweden, Switzerland and the U.K., according to a Microsoft blog post. Pricing information wasn't immediately available. 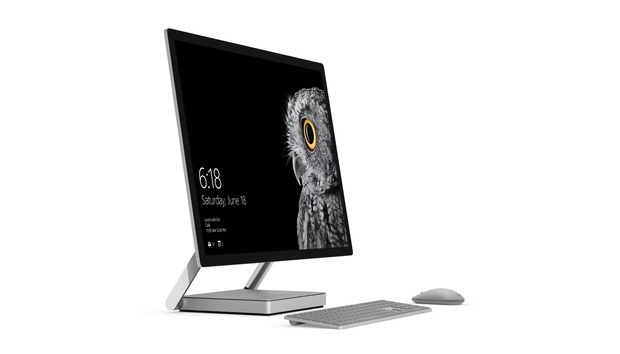 The Surface Studio, meanwhile, is an all-in-one desktop designed for artists. The device has a 28-inch touchscreen that can be angled to be more like an artists' canvas, and a powerful GPU to handle heavy-duty graphics. The battery-powered Surface Dial is an controller that can be placed on the screen to make it easier to create artwork, much like how a stylus can be used to take notes on tablets. The Studio and Dial will ship on April 20 in Australia, Canada and New Zealand. Pricing wasn't immediately available.